Keno is strictly a game of chance. Players don’t even need to watch the action to win. Since each number is equally likely to be drawn, there’s no preferred strategy for picking your numbers. Of course some players still have theories about how to improve their odds. A lot of players track draws hoping to find a winning pattern or alternately looking for numbers that are “due” to be drawn, but bear in mind that the RNG is programmed to ensure complete randomness, so any perceived patterns are purely coincidental. That said, since every ticket costs the same amount regardless of how many spots you pick, players would be wise to pick a full 20 spots since that gives them the most opportunities to win. The bad news is that that’s probably the only logic-based strategic choice a player can make. The good news is that there are plenty of other ways you can add entertainment value to the game. While we never encourage players to confuse superstition for strategy, keno is one of those games where you can do as you please without worrying about ruining your odds. The odds are the same whether you choose 20 of your favorite numbers, the numbers from your most recent fortune cookie, or 20 consecutive numbers, so have fun with it! 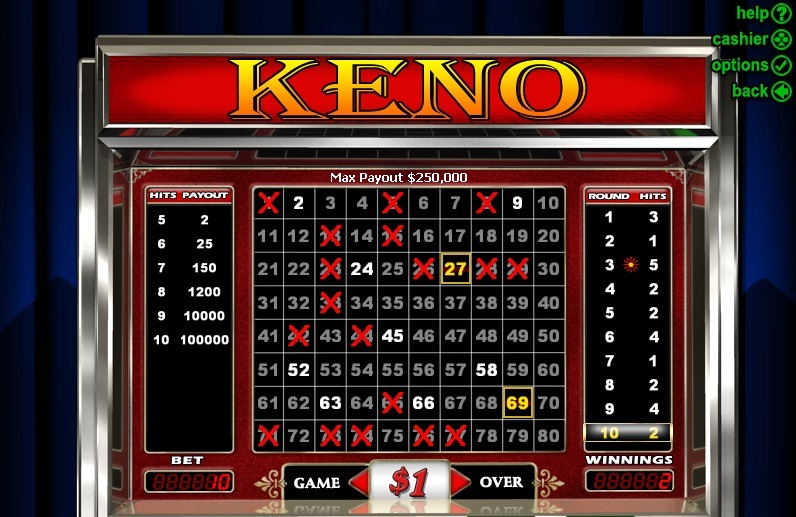 Another way that players add a level of involvement to keno is by playing it with a betting system. While betting systems are not truly strategic and will not improve your overall odds of winning, they can make the game more interesting. Plus, with keno’s relatively low minimums and maximums, a betting system can be used in this game without risking major losses. For more information on the most popular betting systems, visit our Labouchere and Martingale pages.